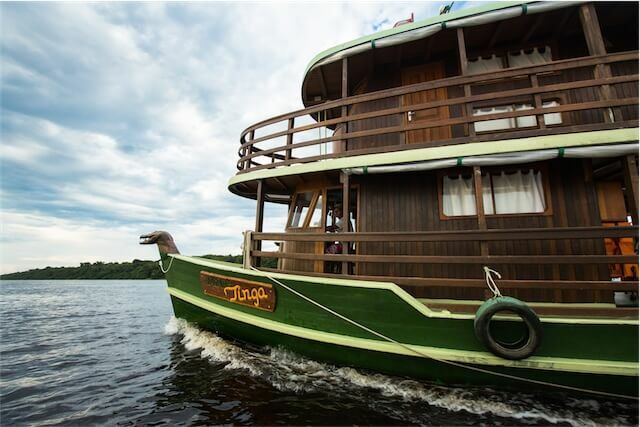 The Jacaré-Tinga combines adventure, ecology and comfort. With special authorization to operate in some of the most remote parts of the Brazilian Amazon. With a well-trained and very experienced crew, she is able to undertake thrilling itineraries of up to ten days, that offer incredible scenery, wonderful wildlife-spotting opportunities, and constant adventure activities. The Jacaré-Tinga - which means Spectacled Caiman in Portuguese - has been inspired by the traditional charm of caboclo culture - the European-Indian racial mix that has arisen along the Amazon, and developed a distinct set of customs and practices. So the boat draws on their boat-building tradition, the cuisine is rich in local ingredients and influence, and the itinerary visits and supports Amazon riverside communities. A great plus is that these cruises are all-inclusive, with fruit juices, soft drinks, mineral water, beer, fruit caipirinhas and caipiroskas to keep you hydrated (or not)! 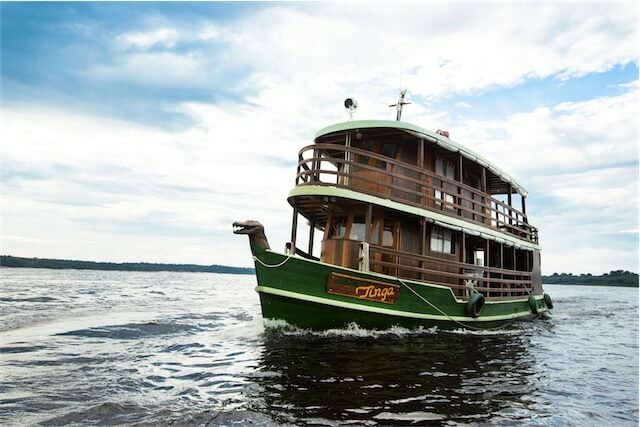 The three-cabin boat is rustic and cosy, with room for only eight passengers, but still boasts all modern amenities. 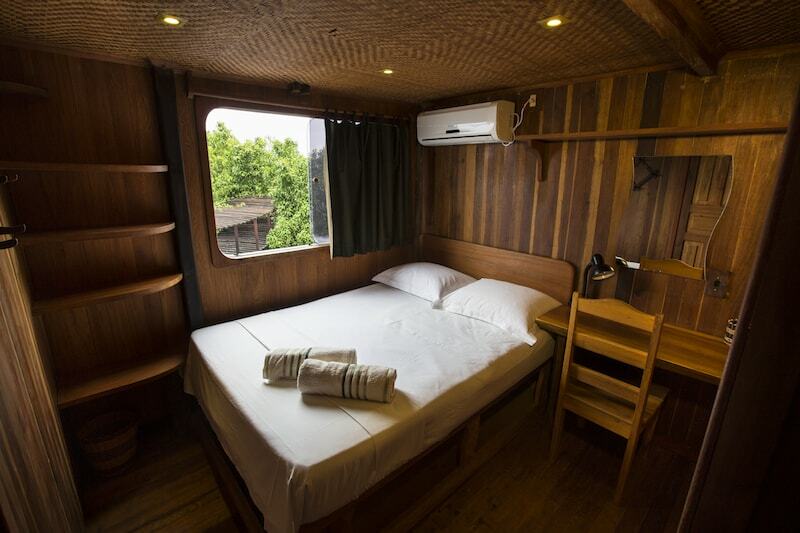 So, all cabins are air-conditioned and with private facilities; and there are three inviting public areas for relaxation and socialising ... and meal times! And if you wish to include a dose of adventure amongst all the beautiful scenery and wildlife, then the Jacaré-Tinga can offer tree climbing, jungle hikes, parasailing, inflatable tubes and piranha fishing. Please note that the Jacaré-Tinga is the sister ship of the larger Jacaré-Açu. For regular (non-charter) rates and itineraries of the Jacaré-Tinga, please see the Jacaré-Açu.